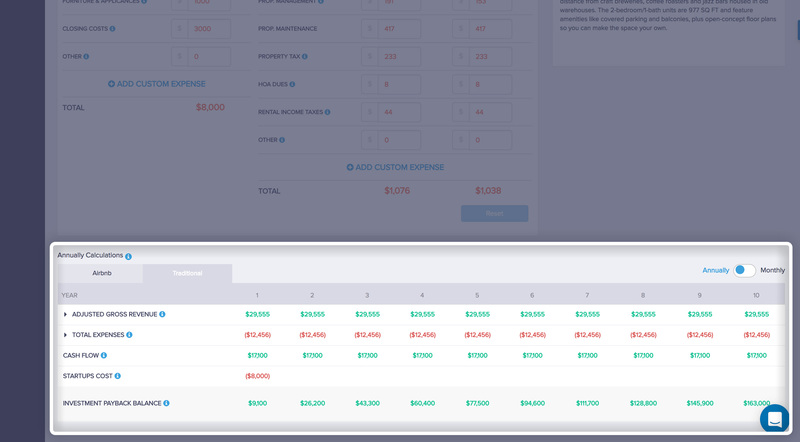 With Mashvisor, you can find the best return on investment properties anywhere in the US. You no longer need to think twice before making your decision! 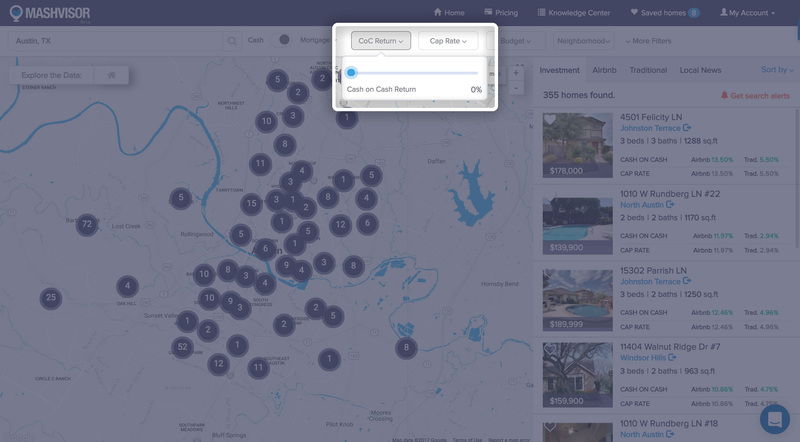 Obtain return on investment data on individual properties. 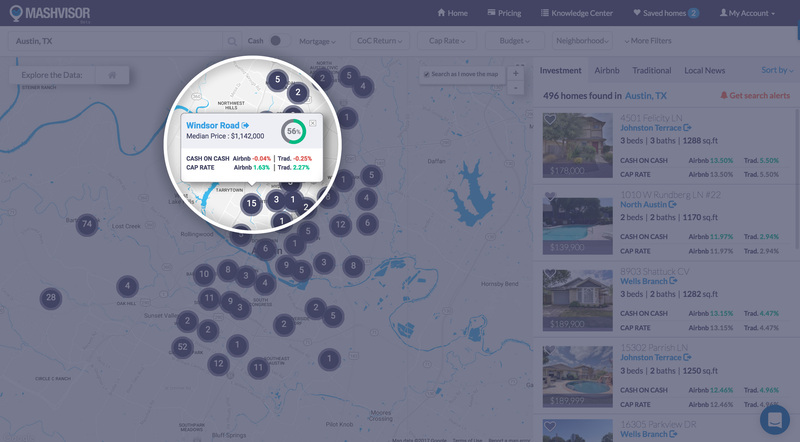 Acquire data comps and return on investment averages for an entire neighborhood. 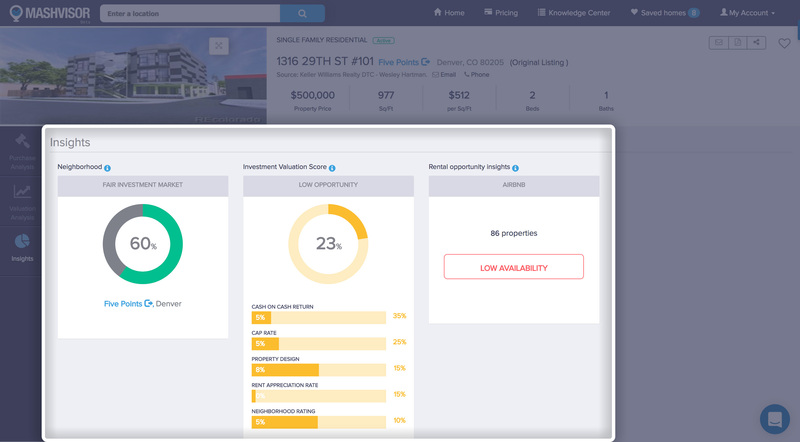 Compare a number of different properties to determine the one with the highest return on investment. Cap Rate: Return on investment based on the current value of the income property. 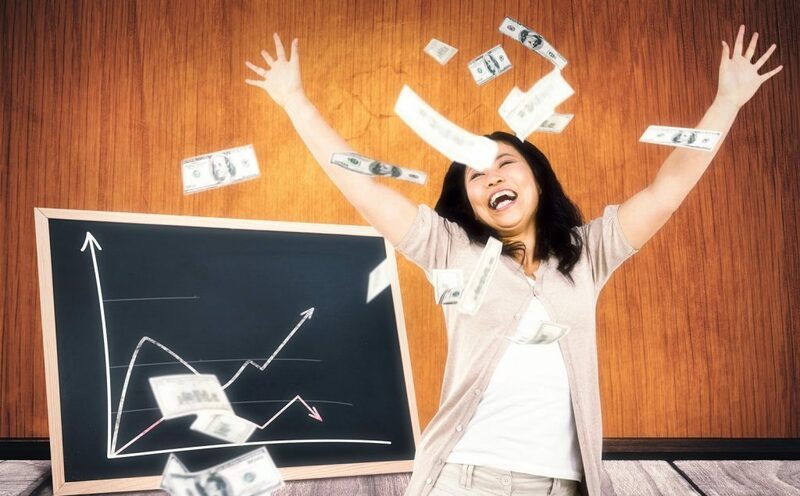 Cash on Cash Return: Return on investment based on the actual cash invested in the income property. Cash Flow: The actual income that the income property will generate after subtracting all costs and expenses. 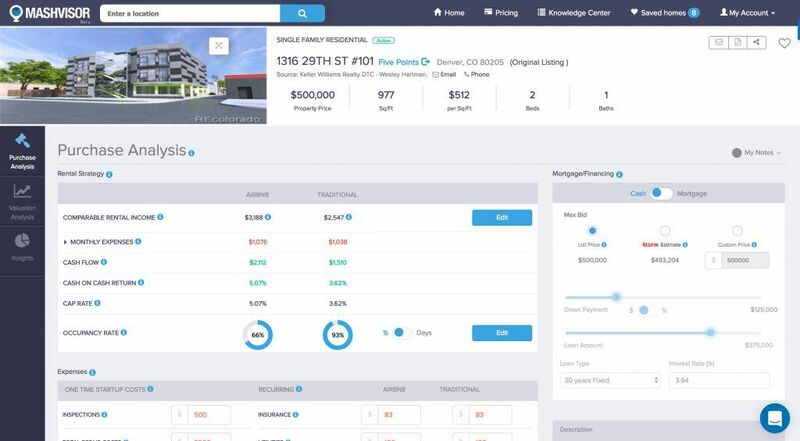 The cap rate is one of the main metrics used to determine the return on investment on our platform, and one of the most commonly used metrics calculated by real estate investors when assessing an investment property. Cap rate allows you to know how profitable an investment property is based on its current market value and the income that it generates. 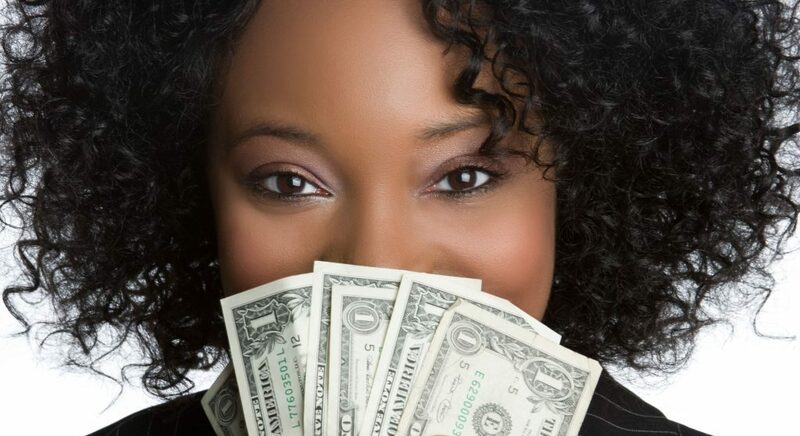 The cash on cash return on investment metric is used to determine the profitability of an investment property based on the amount of cash you’ve paid for it. This is an especially useful metric to determine the leverage that you have on a property as it leaves out the amount of mortgage financing out of the equation. An income property’s cash flow can either be negative or positive cash flow. Real estate investors use the cash flow as an indicator of an investment property’s profitability and the actual cash that it generates. A negative cash flow income property indicates that the property is costing the investor more money than it generates. Set the minimum cap rate for the investment property that you’re looking for. Set the minimum cash on cash return for the income property that you’re looking for. Look for rental properties with a desirable and positive cash flow to generate a rental income. Are you unsure of your decision? No problem! 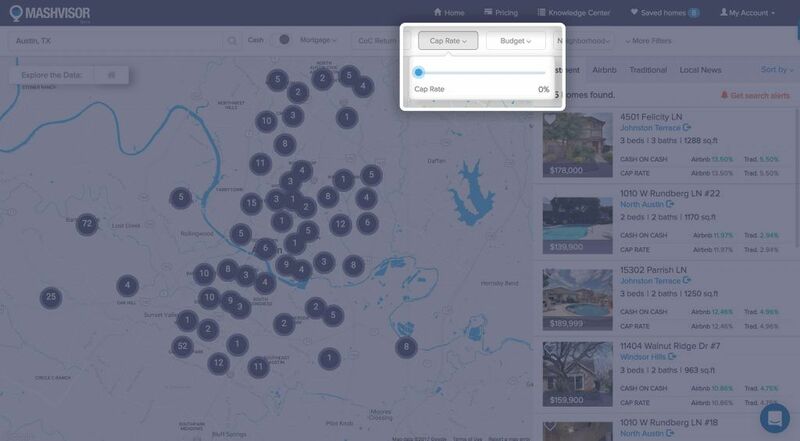 With Mashvisor, you can easily export, download, or share a property’s report including all of its data, analytics, and projections of its return on investment using the different metrics (cap rate, cash on cash return, and cash flow) with a friend, family member, or a real estate agent to get a second opinion and help you make your decision. What else does Mashvisor provide? 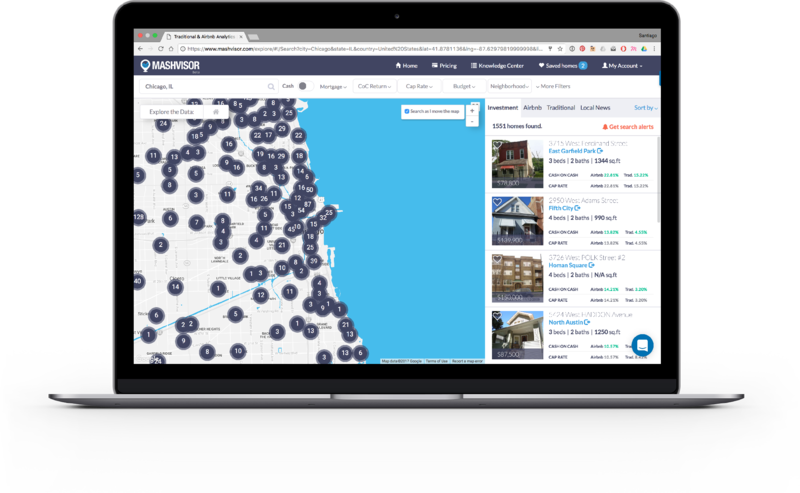 Mashvisor provides a number of different services and tools that are all designed to help real estate investors and make the process of investing in real estate that much easier. 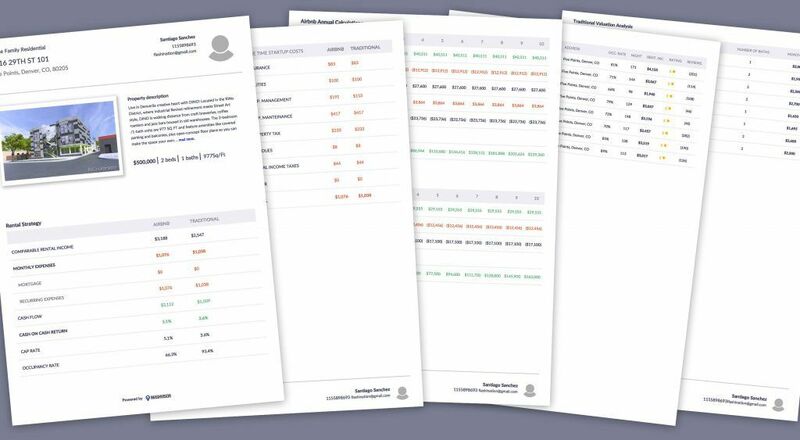 From our property finder tool, our investment property calculator, to our real estate agents program. Mashvisor is a true all-purpose digital workbench for all of your investment needs.